We had a group of seven in Salt Lake for a convention. The house was great and a short ride to downtown. Rooms to spare, no issues with hot water, great kitchen and common area. Wifi was pretty good for seven of us and our devices. I would rent this property again with hesitation. 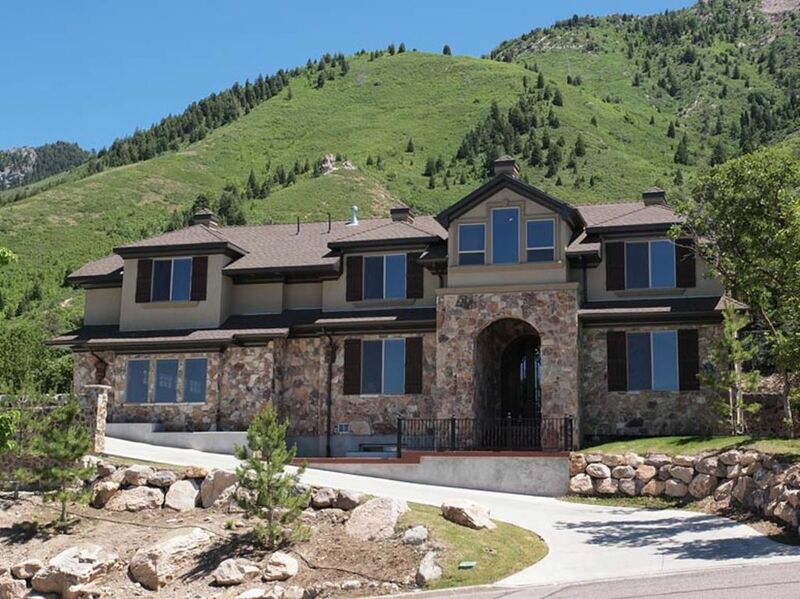 Massive, high-end rental, with room for 3 or more extended families! Our entire leadership team of 11 checked-in 3/4 and out on 3/8. We were able to eat, sleep, and have enough space to getaway from each other when we wanted to be alone or get something done without interruptions. We held our meetings/trainings in the theatre room and it worked perfectly. This house is designed for multiple families to co-exist under one roof, however it worked out perfectly for 11 adults where we only had to share 2 bedrooms: Master & 1 basement bedroom. The master has a king size bed, massive bathroom and closet, and is advertised. Please note, the sleeping arrangements in there would be perfect for a family of 6. There are 2 sets of 2 beds in addition to the king and you could comfortably sleep 6 people in their own spaces. The only negatives and most were known ahead of time: Driveway & parking - narrow & parking is limited. We were able to juggle 3 vehicles to accommodate all our people and additional attendees without issue. The only other issues which did NOT impact the stay were: 1 set of shampoo, conditioner, and bar soap in each bathroom. No trash cans other than bathrooms, kitchens, and few in bedrooms. There are TONS of common spaces to get away...multiple living rooms, kitchens, game room, theatre room, etc., and they didn't have trash receptacles. Once again, this is just ticky-tack stuff and did NOT impact our stay in a negative way. Instructions, check-in, everything was fantastic! We would stay here again in a heartbeat! House was very clean. We had 10 adults and 10 children ranging in age from 14 to 20. Plenty of room for everyone. This home was so amazing, we didn't want to leave to go shopping! This is a gorgeous home with plenty of comfortable bedrooms and bathrooms for our group. We gathered around the kitchen table and in the amazing living room and talked for hours every evening. The bedrooms were all super comfortable, and there were enough beds that no one had to share, which was so great. There were also enough bathrooms, so everyone was able to get ready for the day without being in someone else's way. The theater room was fantastic- we used it to watch two movies, and the surround sound and recliners made it just like a nice theater downtown, which, by the way, we didn't have to go to because we had our own theater at the house! The pool table, ping pong table, and foosball table were so fun- truly, we hated to leave to go shopping (shopping is what we came for!) because the house was so enjoyable. We will definitely be staying here next year! a great property for our family get together. The alarm did go off when we tried to enter. With a call into the office and their quick response, we were given the correct code and the alarm was disarmed. The home was very nice and roomy, equipped with everything needed for a wonderful stay. The exterior is in need of some repairs. We were able to park 6 vehicles in the drive which is very steep. The Fire Department did arrive at the residence one evening. The fire pit was off at 10 and not in use at the time they arrived. They left and could see no problems. We are not sure what happened there. Overall the location was great, the surrounding mountains were beautiful and our stay was fantastic. Great home ..clean, updated and fabulous! !